The following is from the response to Request for Proposal from the OKC Urban Renewal for the property they own at NW 4th and EK Gaylord Boulevard. The Oklahoman broke this story earlier today. 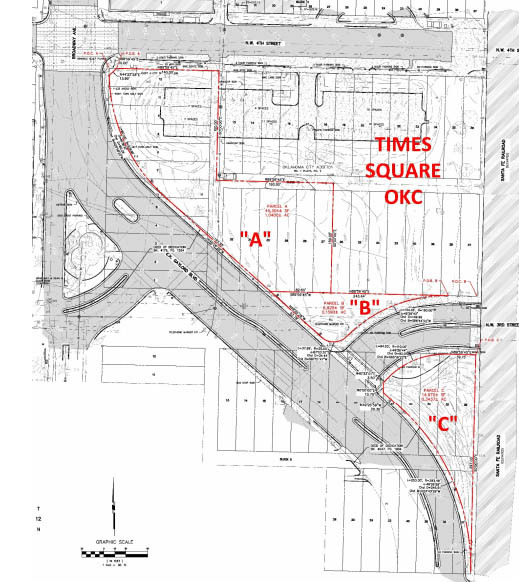 The project is titled Times Square and was submitted by Johnathan Russell and Mark Ruffin, who own the adjacent land after acquiring it from SandRidge. The development would span both their and the City's property. 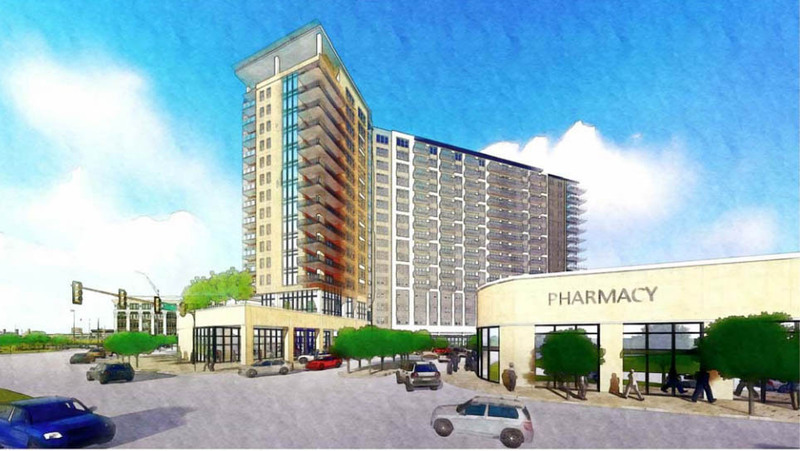 In response to the redevelopment vision and other stated goals outlined in the RFP dated May 9th, 2016 for approximately 1 acre located at Gaylord and NW 4th, Precor Ruffin and Landrun Commercial (LRPR) propose to construct a mixed use project consisting of a residential tower, adjacent retail/commercial building and complementary parking garage. This development is part of an overall plan that consists of about 3 acres of which LRPC owns 2 acres. 36,500 SF of commercial space: 10,500 sq.ft. within the tower and a 26,000 sq.ft. 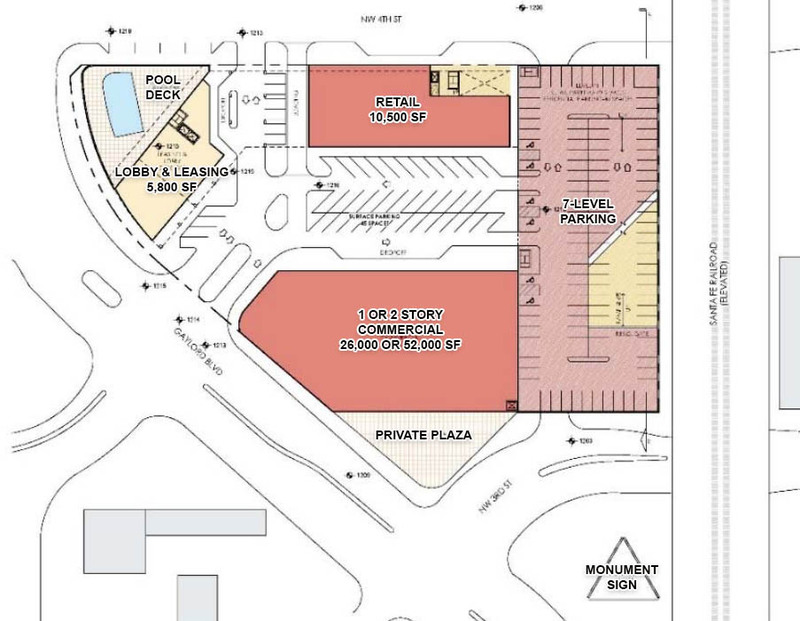 pad site (pad site able to accommodate a 2‐story retail/commercial building for 52,000 square feet if market conditions warrant). 712 space parking garage (plus an additional 45 surface parks); total parking spaces provided is 757. The total cost of the Project is anticipated to be approximately $100 million. 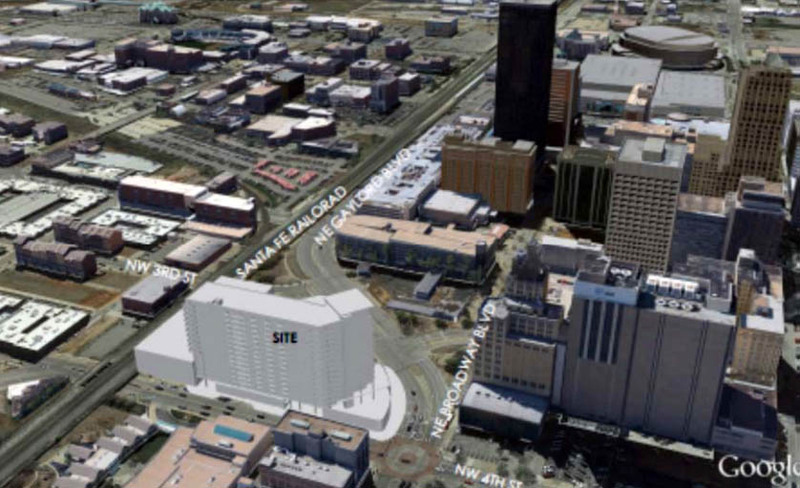 Based on the financial projections included with this proposal, the developer anticipates the need for approximately $10 million of assistance via tax increment financing (“TIF”) provided by the City of Oklahoma City. The development team includes LRPR as developer, WDG architects of Dallas, and GE Johnson (“GEJ”) as the general contractor. Total site area consists of 2.97 acres. LRPR acquired the easternmost 1.93 acres in September of 2014 with the intent of unifying this parcel with the westernmost 1.04 acres; the subject of this RFP (Parcel A). 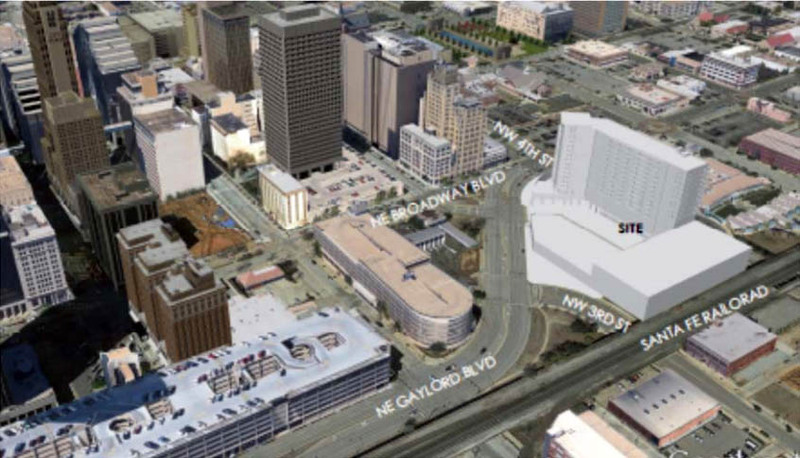 Parcel B: .16‐acre former street right‐of‐way for NW 3rd for the purpose of creating a plaza complementing the commercial area occupying the south 1/2 of the site. Parcel C: .34‐acre parcel situated on the south side of NW 3rd and east of Gaylord; this site’s intended use is an off premise project marquee sign.